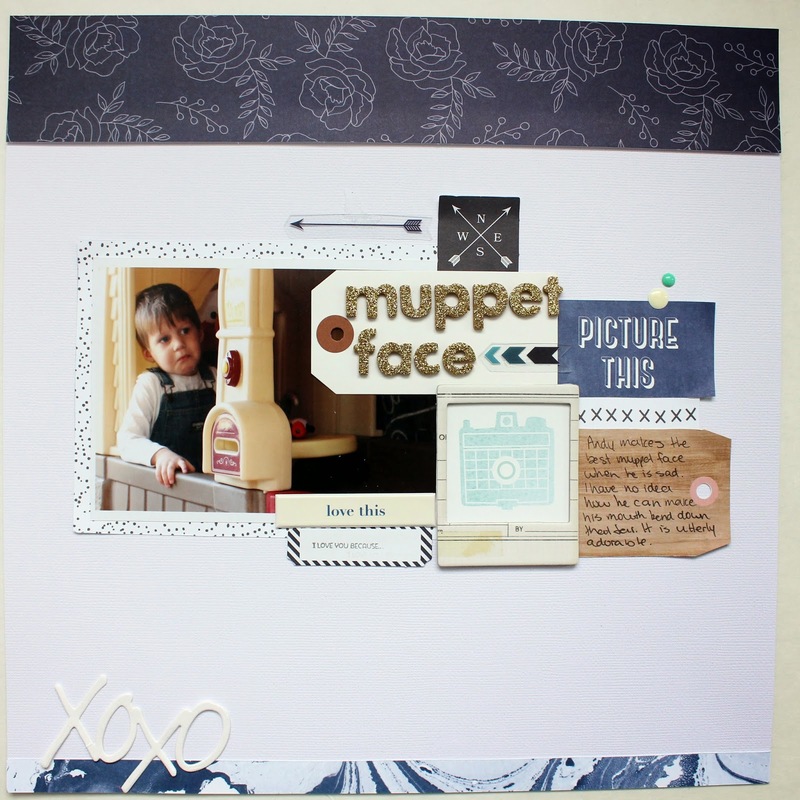 I have another layout using the January Hip Kit Club main kit and embellishment kit. When Andy is sad, he makes the most exaggerated sad face and can turn his mouth down really far. We always say he looks like a muppet when he does that. I decided to stick almost entirely with blue on this one, which is so unusual for me, even though I am a mama to a boy. I have been majorly crushing on navy blue though these days and just love that Amy Tangerine floral paper at the top. I had a lot of white space on my photo that I thought would detract from my layout, so I placed a shipping tag over most of it for my title and then just started branching out with tags, die cuts and stickers. 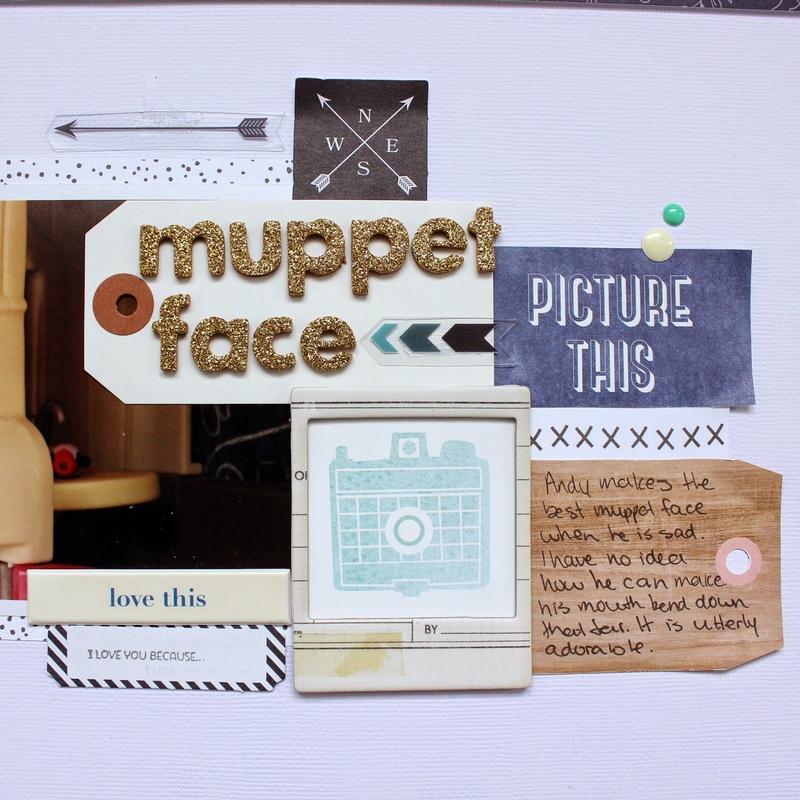 I did add a frame that came from the Crate Paper Notes & Things line, but other than that and the shipping tag, everything else is from the Hip Kit Club January kits.